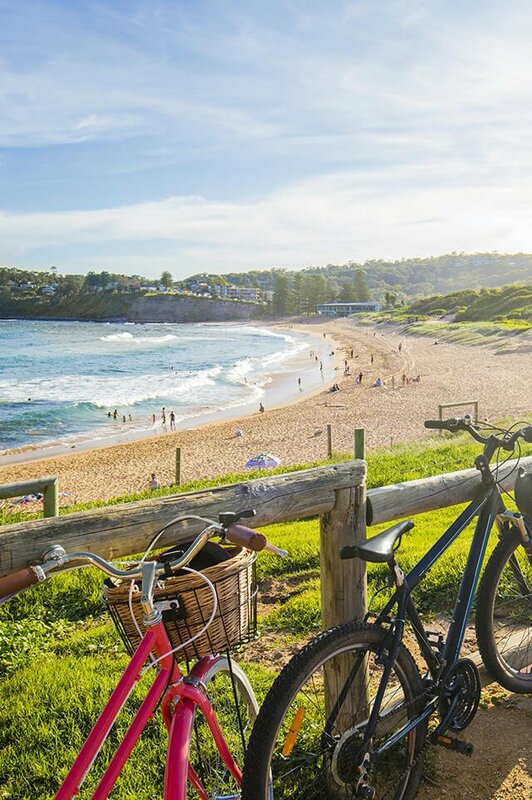 Sydney’s Northern Beaches is a region renowned for its vast expanse of coastline stretching from Manly on the Northern side of Sydney Harbour to as far north as Palm Beach at the mouth of Broken Bay. Boasting an array of pristine surf beaches with local village communities that epitomise the Australian lifestyle of sun, sea, sand and surf, all which are found within easy reach of Sydney’s CBD. Additional beach to bush offerings can be explored through the expansive Kuring-Gai Chase National Park and local Pittwater waterways. The region is primarily accessed via car or bus from either the City’s South across the Spit Bridge from Mosman, across the Roseville Bridge from Chatswood or East via Mona Vale Road from Hornsby, linking the M1 to Newcastle or Canberra and beyond. Alternatively, ferries operate a daily, direct service between Circular Quay and Manly Wharf, with breathtaking views of Sydney Harbour National Park and icons including the Harbour Bridge and Opera House. There is a mix of freestanding or semi-detached homes ranging from weatherboard cottages, art deco and federation bungalows to low to medium density apartment complexes. Some homes can be found hugging the coastline offering ocean views or hilltop vistas tucked away in the National Park and close to local Reserves. The Northern Beaches attracts a mix of young couples, investors, professionals, families and retirees all seeking the areas laid back, beachside lifestyle. The Northern beaches offer an outstanding selection of schools ranging from public, private, Christian, Catholic or even German alongside independent primary and secondary schools. The Northern Beaches Hospital is one of Australia’s newest state of the art hospitals that is located in Frenchs Forest on Sydney’s Northern Beaches. Do you need a Buyer’s Agent who can assist you to purchase a property in the Northern Beaches?